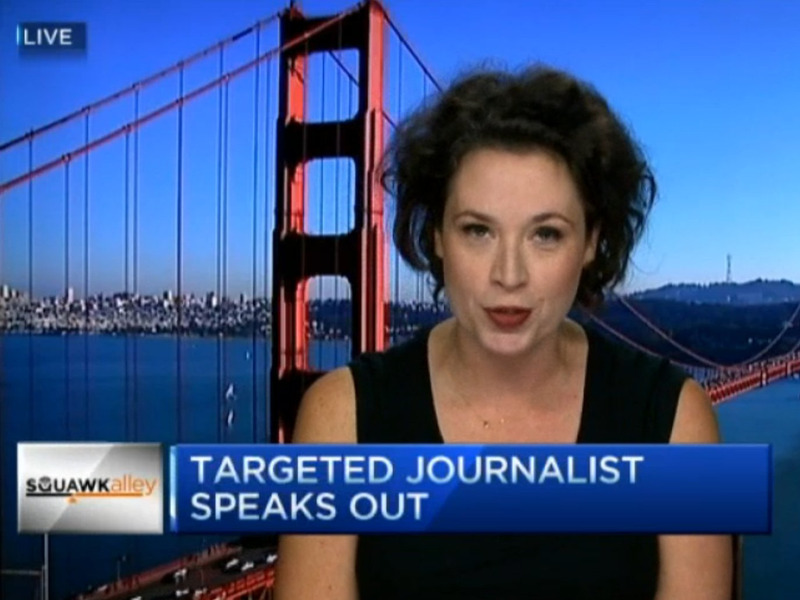 CNBC/ScreenshotPandoDaily founder and editor Sarah Lacy on CNBC. PandoDaily founder and editor Sarah Lacy. “It’s really horrifying. This is one of those times I’m not happy to be right,” she said about the company on Squawk Alley. “The public and the press and Uber’s investors have really been divided along very clear lines. I don’t see any journalists saying this is ok. I don’t see the press generally saying this is ok. And the press generally thinks there’s been an escalation of disturbing behaviour at Uber. Uber itself launched an investigation into practices of data mining on a journalist,” Lacy said. Lacy’s point seems to be that Uber is growing so quickly that investors are afraid to anger its CEO and lose out on a lot of money.